Dental implant treatment can transform the quality of your life. We have many clients who report having a new lease of life, increased confidence, increased self esteem and many other benefits. Please read on to get a better understanding of the types of treatment and the process involved. 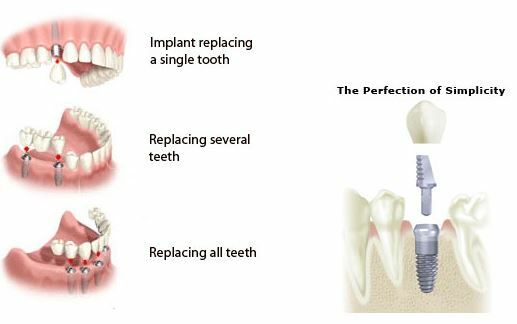 Implants are screw shaped structures which are embedded into the jawbone to effectively replace tooth roots. Normally made of titanium, the jawbone fuses around the metal structure to give a truly solid base for a crown, bridge or denture to be attached to. For many patients teeth implants have become the first choice standard of care when you visit your dentist requiring replacement teeth. Why is this? What makes this treatment so superior for so many people in today’s crowded dental marketplace? Firstly, implants are a long-term solution. They are manufactured from high-quality materials, built to last and reliable. In the past the more traditional treatment of dental bridges was seen as the a standard. However dental bridges tend to last around five or six years but will certainly need replaced at some point after that. Implants do require some maintenance and adjustments over time but with proper care and attention there is no reason why they won’t last you a lifetime. Quite simply, tooth implants are the closest thing on offer to your own natural teeth. If you have lost teeth, implants will fit and function exactly like real teeth. The titanium fuses to the bone to form a rocksolid base, and whereas other options can result in deterioration of the jawbone and bring problems with eating,speaking, smiling etc, implants provide the perfect solution. So no more clicking dentures or slipping bridges. 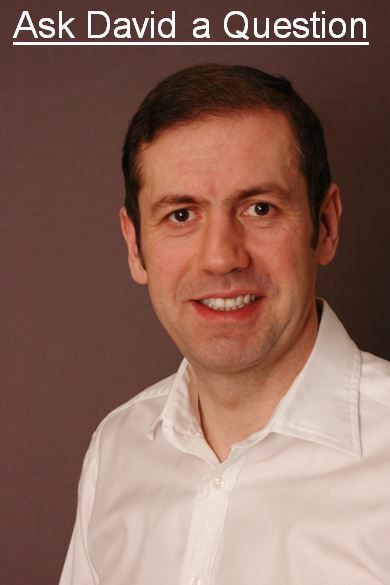 Many people report a new lease of life and confidence in their ability to smile, interact, and generally enjoy life to the full again after having this treatment. And of course implants let you keep your teeth in your mouth, not in a cup! Most of the time if you’re going for a tooth supported bridge the dentist will be required to grind down teeth on either side of the missing teeth, thereby putting stress on your healthy teeth. Because implants are fixed to the jawbone, no pressure is applied to surrounding teeth and your overall oral health is enhanced. 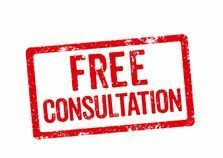 If you’re seriously considering dental implants Glasgow based David Cashel Dental is a great place to choose, offering a free five year guarantee, so why not give us a call today . 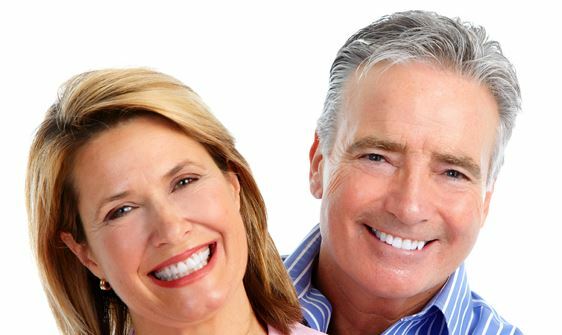 And there’s further information on the frequently asked questions about dental implants page along with various ways of paying for implant treatment. And have a look on our implants case study page too. The All on 4 implants technique is also known as same day teeth or day smiles. It is a method to replace a full arch of missing teeth(hence the “All” in its name) with only four dental implants required(hence the “on 4”) supporting a fixed denture or bridge all being done in one day. With normal dental implants, the implants are placed into your jaw at 90 degree angle to your jaw. With the All on 4 the two front implants are fitted at 90 degrees as in normal implants but the two implants at the back of the jaw are placed in at a 45 degree angle to your jaw. This is done so that when a bridge is attached to the four implants it locks all 4 implants together enabling them to heal and integrate with minimal chance of failure or dislodgement. Another benefit of this technique is that as the rear implants are placed at a 45 degree angle to the jaw longer implants can be used in this area. This is of particular importance for patients with minimal bone tissue in that area, who may have previously required bone-grafting. In many cases All on 4 provides a solution for patients who may previously have been unable to have any implants due to a lack of bone. How does the All on 4 differ from the standard fixed bridge system approach? 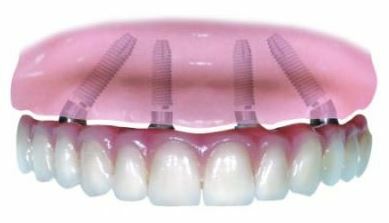 Using a standard implant technique (i.e. where all the implants are place into the jaw at 90 degrees) has the disadvantage of needing around six months recuperation time for the bone to heal before a bridge can be fixed to the implants. If the patient does not have enough bone then bone grafting may also be required. This standard technique is also more expensive as it requires six implants a supposed to the four needed in this technique plus the cost of any further bone grafting or surgery. Is the All on 4 a tried and tested technique? The All on 4 technique was first developed by a Portuguese dentist Dr Paulo Malo who worked in collaboration with Nobel Biocare (dental implant manufacturer) in the late 1990’s. They used a combination of bio-mechanics, computer simulation and extensive clinical research to develop and hone this technique which has now been in general use for over ten years. The result of their efforts was that patients who would previously have required bone grafts could be provided with high quality full teeth restoration in one day. As well as being a breakthrough in implant dentistry which offered patients an immediate cost-effective way to replace all the missing teeth. The all on 4 technique is something that cannot be performed by all implant surgeons as it requires additional skilled technology, those practitioners who use the technique have reported a very high success rate.